Roger McKnight Explains Why Gas Prices Will Continue To Rise In The West Due To Hurricane Harvey | En-Pro International Inc.
With the ripple effects of Hurricane Harvey being felt across North America, gas prices are on the rise in Saskatchewan as the Labour Day long weekend kicks off. “(Saskatchewan) will be seeing prices moving up, but they won’t be moving up 18, 19 cents a litre as we’re about to see in Eastern Canada,” said Dan McTeague, senior petroleum analyst with GasBuddy.com. Prices in Regina were at $1.01 per litre on average Thursday, compared to 95 cents last week. In Saskatoon, gas prices on average were at $1.02 Thursday and 96 cents last week. Prices had jumped to as much as $1.09.9 per litre by Thursday afternoon in both cities. 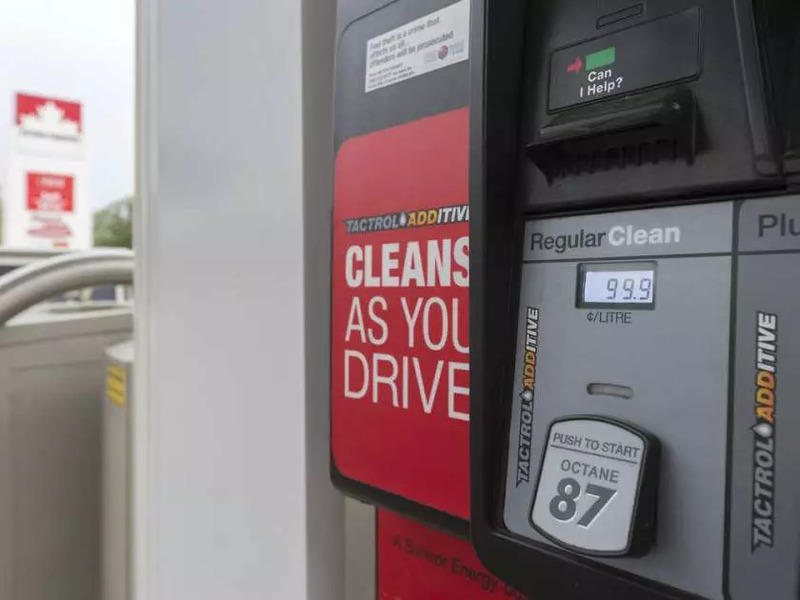 According to McTeague, people in Saskatchewan should expect to see gas prices increase another five to seven cents per litre throughout the weekend. Hurricane Harvey has wreaked havoc in Texas along the Gulf Coast, causing oil refineries to pre-emptively shut down production. Currently there is no indication the refineries have been damaged by the hurricane or resulting flooding. “Once the flood waters abate in the next day or two I expect refineries will be getting very quickly back up to full operation. And with that they’ll be able to feed product into the Colonial Pipeline and restore inventories in the northeastern U.S.,” said Michael Ervin, senior vice-president with Kent Group Ltd. The Colonial Pipeline, which runs from the Gulf Coast to the northeastern United States, has been shut down, causing gas prices to rise in Eastern Canada. “That is starting to curtail supply into that very heavily populated part of the United States, and that’s sending wholesale prices up there. And simply because buyers in the States would be looking to Canada for supply, we’re seeing higher wholesale prices in Eastern Canada as well,” Ervin said. In Western Canada this won’t affect gas prices as much. Roger McKnight, chief petroleum analyst with En-Pro International Inc., said with refineries having been shut down, the price of crude oil has actually dropped, which in turn has dropped gas prices on the Prairies. However, the Explorer Pipeline, which runs from Houston to Chicago, is starting to have problems and could be shut down, which would in turn affect gas prices on the Prairies. This pipeline controls the Chicago market, and when prices rise there it raises the wholesale price in Minneapolis, which causes changes for gas prices in Western Canada. “I don’t think that’s going to be a long-term problem for the Prairies. It’s going to be a very long-term problem in the East, very long indeed and it’s brutal,” McKnight said.